South African flanker Hugh Blake and Kiwi fly-half Jade Te Rure have joined Edinburgh on trial. The Pro12 club say the pair will be with them for three to four months. Edinburgh head coach Alan Solomons said: "Hugh is a promising young open-side flanker who already has experience of Super Rugby. "Jade played an integral part in Manawatu's recent ITM Cup success. He's a talented player and a good goal kicker." Blake, who has Scottish grandparents, began his career with Pirongia in Waikato and played in the IRB Junior World Cup in South Africa. 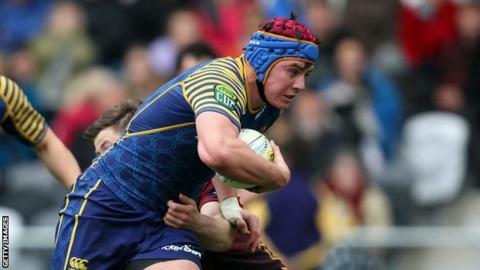 The 22-year-old has been with Otago since 2011 and was also part of the Highlanders squad in 2013. New Zealander Te Rure, a 21-year-old who has an Edinburgh-born grandmother, played at under-20 level in the IRB Junior World Cup in France.